As the show will return, the remaining set of 11 performances by the semifinalists will be presented. Then, the contestants will make an appeal to the general public to vote in their favor so that they can advance to the final rounds. Below are some of the spoilers. Read on to find out what’s next. Update: The Results are as follows. Following 5 have been selected and will make place in top 10. AGT 2016 finale is next week. The AGT 2016 semifinal round started last week. A set of 11 semifinalists namely, Sal Valentinetti, Blake Vogt, Edgar, Lori Mae Hernandez, Musicality, Deadly Games, Tape Face, Jon Dorenbox, Grace VanderWaal, Malevo, and Laura Bretan presented their respective performances. Out of those 11, six were eliminated at the end while five of them proceed to the finals. Sal Valentinetti, Tape Face, Jon Dorebox, Grace VanderWaal, and Laura Bretan succeeded in winning the public and judges’ votes. Now, they will be seen next week competing in the finals round. 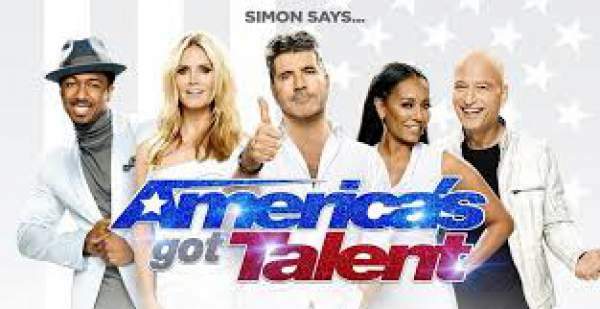 In AGT Season 11 semifinals part 2, the remaining eleven namely, Brian Justin Crum, Calysta Bevier, The Clairvoyants, Jayna Brown, Kadan Kart Rockett, Kadie Lynn Roberson, Linkin Bridge, The Passing Zone, Sofie Dossi, Steven Brundage, and Viktor Kee will present their performances. All of them will try to make their place in the next round. But once again, only five will proceed while the rest of the six will be eliminated immediately. After their performances, the general public will be able to make votes in favor of their favorite contestants. At the same time, the contestants will be able to save themselves through their one favorite act through Dunkin Save if they turn out to be in the bottom three acts. Moreover, the judges Simon Cowell, Howie Mandel, Heidi Klum, and Mel B will also have one chance each to voice their views and ask them to save their favorites. The finale will take place live at Dolby Theatre in Hollywood. The results of AGT semifinal 2 (2016) will be announced next day, i.e., on September 7. Moreover, it is expected that celebrities will come to give guest performances. What are your predictions? Who will get eliminated and who will advance to the finals? Who is your favorite? Let’s know your predictions. Kadie Lynn without a doubt! The most amazing artist is for me, Grace Vanderwall due to her voice, her creativity, her personality, her originality,her spontaneity, her behavior, her repertoire,…… her GRACE. Miracle can happen and so, miracle has actually happened. and Grace remain natural such as you appeared at your first audition. Thanks for the presence of this outstanding and moving, touching creature on Earth.